Ernie Bustamante is a writer, comedian, and connoisseur of nachos. He has sold pilot scripts and TV movies to broadcast, cable, and digital networks. Worked as a staff writer on half-hour comedies. And has appeared on “The Late Late Show with James Corden” (as a dancing monkey). Recently, Ernie released his web series “Border Patrol” — based on his short film — which won "Best Narrative Short" at the Arizona Underground Film Festival. 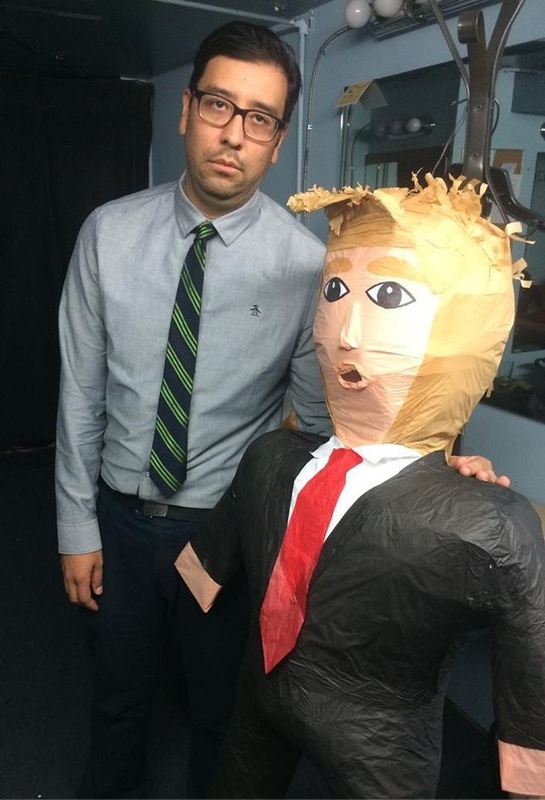 And every fourth Wednesday, he hosts “The Latino Vote” — a late night talk show — at the Upright Citizen's Brigade Theatre in Los Angeles. Last year, he made his second appearance at the 2018 Montreal Just for Laughs Festival in the Stand Up + Pitch Showcase. Ernie is also an Adjunct Faculty Member at National University, where he teaches screenwriting and an instructor for the UCLA Extension Writers’ Program. He received his BA in political science & ethnic studies from Stanford University and MFA in screenwriting from UCLA. Before pursuing comedy, Ernie worked as a campaign staffer on several unsuccessful political campaigns, including John Kerry for President.